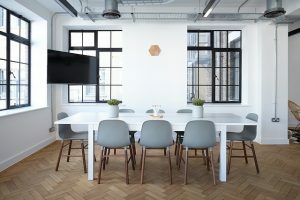 If you are planning on opening up an office for your business, and you want it to be successful, then you will have to pay attention to the design of it. This is important for a variety of different reasons. Many different components go into office design. Knowing what your resources are, will help you with staying on budget and making the right choices. It is easy for new business owners to have tunnel vision when they are planning their office design. Their main focus is placed on the clients that the office will serve. Especially if it is an office that is open to the public, or perhaps a head office. What may get forgotten about, is how important the office design is for the staff. These are the individuals that have to work in this environment. If attention is paid to their needs, as they pertain to the design of the space, it can serve the business well. It can help to increase productivity, which is a money saver for the company. It also can lend towards a pleasant work environment, which may contribute to cut down on staff turn over, which again is another money saver. A good, professional environment in which to do business is important to every client. If their focus is on the business at hand, and not their surroundings, it helps them to stay focused. That doesn’t mean that the office space cannot be impressive and ultra modern. But, its functionality is the critical component. For a client to feel comfortable in an office setting, it has to be bright, clean and spacious. The perfect balance can be struck between the needs of the employees, and the clients that will be served by the office. But, this can only be done if both requirements are given equal attention. By doing this, it also helps with the decision making, when needed for choosing the property where the office will be. While every business owner will have their own perception as to how they want the office space designed, some experts specialise in this. It is good practice for a new business owner to rely on their expertise. Most of these professionals can take the ideas from the business owner, and turn them into a reality.